TransLink’s plan for 2008 will add 94 new buses or community shuttles to expand the fleet, over and above the 160 more new buses slated to replace old ones. That will push up total transit service by 5.9 per cent next year, about one per cent more than the projected increase in demand. The extra buses will allow full bus rapid transit service along the new 95-B Line route that follows Hastings Avenue to SFU. At least two dozen new buses will go to meet demand in areas south of the Fraser, including the 152 Street corridor to White Rock. TransLink officials say the net effect of the extra buses will be to greatly extend the frequent transit network they define as providing service at least every 15 minutes, 15 hours a day. Nearly all of the network is so far concentrated in Vancouver, apart from SkyTrain and some B-Line routes. By the end of 2008, however, nearly one million residents—or 46 per cent of the GVRD population, up from 36 per cent now—will live within 450-metre walking distance of the network. Among the bus routes that will go frequent in 2008: from 22nd Street Station to Richmond Centre via Highway 91; and from Richmond Centre to Steveston. Next year, TransLink plans to launch new area transit plans to identify local priorities for Richmond. I am not sure what they mean by “full bus rapid transit service” since that is a very flexible term. BRT in many cities like Curitiba , Ottawa but, best of all Bogota means a completely segregated roadway – and that is certainly not going to be the case on Hastings. However that route already has bus/HOV lane provision at peaks. No bus priority at traffic signals, though, so far as I know. But I am pleased that now this blog is being more widely read there may be some comments from others better informed than I. One the things I will be pushing for in the new plan is more express bus service utilizing the freeway system. Nonstop, direct services between major regional centres. Richmond-Whalley, Richmond – New Westminster, Richmond-Metrotown, Whalley – Guildford -Coquitlam Town Centre would all be on my shopping list for early implementation. Eric Thorleifson insists that poking 95 holes that probe nearly 90 metres straight down into the ground won’t sink Lulu Island. But what the manager of school facilities hopes it will do is help Richmond’s newest and biggest high school—Steveston-London Secondary’s $19-million, 5,700-square-metre addition—achieve a new benchmark in the area of environmental design when it opens in September. During a tour last Thursday, project officials pointed to an array of features that have Mother Nature in mind when it comes to energy efficiency and recycled materials. I think I have mentioned here more than once that we identified rules that stopped school boards spending more capital to save on operating costs as one of the things the province should stop regulating as part of its greenhouse gas action plan. I am pleased to report that it appears that someone was listening, as this story on the high school my kids attend shows. It also shows that I do not keep up enough with what is going on there. Not only does it have geothermal heating and cooling, it is also built with 50% flyash concrete, which significantly reduces the ghg released in cement making. Energy efficient high intensity lighting and maximum natural light are also featured. The building should get LEED certification – probably silver but if it gets gold that will be a Canadian first for schools. I once had a very interesting meeting with a lawyer in downtown Vancouver. He could not help noticing all the empty seats that travel downtown every day in single occupant vehicles. He thought that we should be able to use them, but he saw that giving people rides gave rise to concerns about personal safety and things like insurance. He thought these legal issues could be resolved quite easily, and that a suitable authority could manage a database of licensed ride offerers, who could carry a sign on their windshield. He wondered if Translink would like to do that. I had to point out that the drivers would probably also want the potential passengers to be vetted too, and that this looked to me like a sizeable job, in terms of background checks and so on. Not only that but if someone had a clean record, just because they had not been caught yet, there was going to be a significant liability issue. Moreover, if the idea did work, and was successful, we would be reducing the revenue of the transit system. Car pools were good but transit is better, if only in terms of road space occupied. 40′ of bus can carry 50 people or more. That space might accomodate two cars with at most ten people or two vans with 14. I used to car pool. The first time I took a spot in an existing pool which had come open when someone changed their job. This happens a lot more often than you would think, and is one of the biggest issues the rideshare program faces. Not just people changing jobs, but moving homes, or changing schedules. maintaining carpools is even more difficult than setting them up. That pool collapsed when the driver got a new job. Someone else proposed the idea of sharing the ride to work because he wanted to get a cheaper parking spot. Not by splitting the cost with me – but simply by being a registered car pool the building would charge him less. He was going to drive anyway, no matter what. He did not even suggest that I share the gas cost as I had been before. The bargain was a bit tougher since I had then to agree to travel at times that suited the driver – and he liked working longer hours. He arrived before any of his staff and left after they did too. He said this wasted less time stuck unproductively in traffic. Or, in my case, on a bus trying to open the Vancouver Sun past the front and back pages of each section. My times of leaving home and getting back again would be the same. And I could start accumulating “time off in lieu” since we were not paid overtime. The proximity of a car pool means you talk to each other. On his own he would have listed to the radio (AM talk radio actually) but when I got in he always turned down the volume and started to talk – usually about work. Again, because it was his car, and he was paying the gas and parking, I did not really feel I could do anything but oblige by responding. Besides, I could always read the paper when I got to the office, where it would be nice and quiet for an hour or so. I also found that I did not want to stay late every night – especially in the summer months. I was by then riding a bike to help me lose weight, and he agreed to put it in the trunk (he drove a big old Buick) so I could ride home some evenings. It was, after all, downhill all the way. Significantly, when UPass was introduced the most immediate impact was seen in car pools. The bus is the shared ride that leaves every seven minutes. Unsurprisingly, when you have to buy the pass anyway, people decided they should use it, if they could. Flexibility is the biggest thing that car poolers give up. Perhaps the most insightful examination of car pools is in Dagwood. The story of these buses as told on the page I have linked to misses a curious and human element. Something odd happens to men when they reach a certain age. They start lusting after small open British sports cars, or steam engines, and in one case I know of, a complete full size theatre organ that got rebuilt in the spare bedroom of a small semi-detached house. A couple of senior people at Transit actually used public funds to gratify their obsessions. 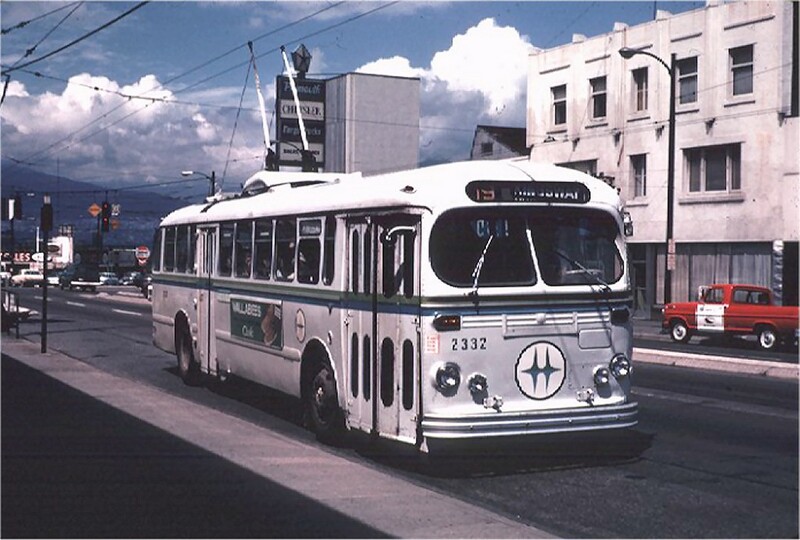 One shelled out $1m for the refurbishment of an interurban car and another (David Stumpo first CEO of Coast Mountain Bus Company) decided that Vancouver should have a fleet of restored Brill trolleys running around downtown. The bankrupt scrap dealer who had stored them since they were withdrawn in 1984 in a yard in Surrey, was finally dispossessed of his property. The fleet of trolleys (which had featured in that strange The X-Files tv series, so surreal was the image of all those old trolleys forlornly waving their poles at the sky) was destined finally to be broken up, but Stumpo stepped in. Many were completely beyond repair, but he thought that it would be possible to make a working fleet out of the better ones with parts scavenged from the rest. Very few people agreed with him – and he departed from CMBC soon afterwards, mainly due to his mis-handling of the bus strike. His actions, however, had saved the fleet from the torch and some enthusiasts have managed to hang on to some of them, though too many to all be restored. But the longer they last the more desirable they become, I suppose. I doubt they will now ever see public service again but perhaps some more will get put into museums. By the way, the idea of selling on old trolleybuses abroad is not that far fetched. Some of the later examples of London’s double decker fleet ended up in Bilbao after they were withdrawn (they were then only about ten years old). Until the advent of electronic control systems, very little changed in trolleybus technology and some things could be reused. Electric motors for example can be rewound and put back into service. Toronto’s old fleet of trolleys was rebuilt and kept going long after diesel buses would have been scrapped. Edmonton’s current fleet is of advanced age. They just don’t build them now like they used to. And in a city like Vancouver where there is not much salt on the roads in winter, vehicles do last longer. After a finding that OC Transpo drivers not calling out bus stops breached a blind man’s human rights, transit officials are instructing drivers to do so and are seeking $8 million to install automated announcement systems. 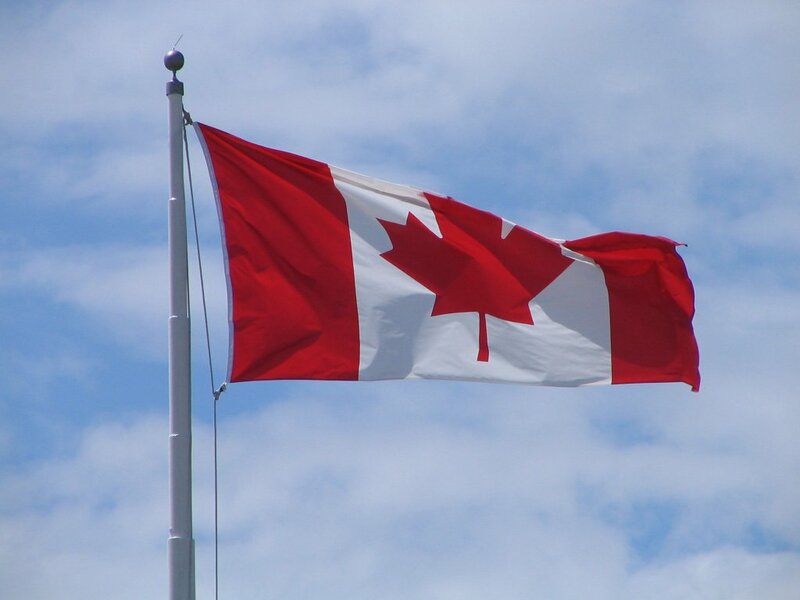 The report, which will be tabled at the city’s transit committee next week, comes in response to a ruling by the Canadian Transportation Agency in April. So far as I am aware it is pretty hit and miss here – but this should set a precedent and other transit systems ought to sit up and take notice. But I would bet that because our provincial human rights watchdog is now almost totally useless that Translink will try to duck this one. But they shouldn’t. And they have to realise that making the system work better for people with disabilities makes it better for everyone. Yes there are trade offs. You loose some seats with a low floor bus and some time at stops when someone in a wheelchair gets on and off. But you make that up in much faster loading and unloading for everyone else, and people with heavy bags and strollers thank you too. Besides, the days when we treated some groups of people in ways that separated them from the rest of society should by now be long over. Equal access for all should not still be a campaigning slogan but a universally accepted principle. It is to the shame of the transit system here – and in Ottawa – that it is not yet. The Fraser Valley Conservation Coalition (“FVCC”) today called on agricultural protection advocates, consumers, wildlife conservationists and environmentalists to boycott White Spot Restaurant until its parent company stops trying to remove farmland from the Agricultural Land Reserve (“ALR”) for development. The boycott follows a public information meeting in Delta on Wednesday, June 27th, where Ron Toigo, Owner of White Spot’s parent company, Shato Holdings Ltd. and Vice President of White Spot Restaurants, told hundreds of people that if his current proposal to remove 27 acres of Delta farmland from the ALR for an upscale residential/commercial development does not succeed, he will apply to remove other of his company’s farmland from the protection of the ALR. One of the parcels of land identified for subsequent exclusion application is a 10.6 acre parcel of Class 1 prime agricultural soil, currently being farmed. Prior to the boycott call, FVCC provided Toigo with an electronic copy of the Campbell government’s British Columbia’s Food Self Reliance Report, which concludes that within the next 15 years the province will require 240,000 more acres of irrigated farmland than it currently has in order to meet the needs of our population. Because the area has very high wildlife values, FVCC also advised him of the findings of Rich Wildlife Poor Protection, a report recently jointly issued by the David Suzuki Foundation and Sierra Legal Defence Fund that paints a grim picture about the state of BC’s wildlife, including that 17% of BC’s wildfowl population is in peril from lack of protection. FVCC points to Delta’s visiting Snow Geese as a classic example of the report’s findings. In the spring of 2007, the Canadian Wildlife Service issued hunting permits to kill tens of thousands of Snow Geese, because loss of habitat meant that this region is no longer able to support their population. Between late February and early April, Snow Geese stop to feed in the salt water marshes and adjacent farmlands of Boundary Bay, and Delta is one of their primary stopovers. The annual return of the Snow Geese is a much-loved harbinger of spring to the people of the region and their dire circumstances are a poignant reminder that our foodlands are as important to other species as to humans. The boycott extends to food services on BC ferries, which are operated by White Spot Restaurants. “We are asking people to brown-bag-it and dine el fresco when traveling by ferry this summer,” adds Passmore. FVCC indicates that the boycott will be in place until Shato Holdings cancels all applications to remove farmland from the ALR. Rotating protests outside White Spot venues around the province will begin in mid-July.